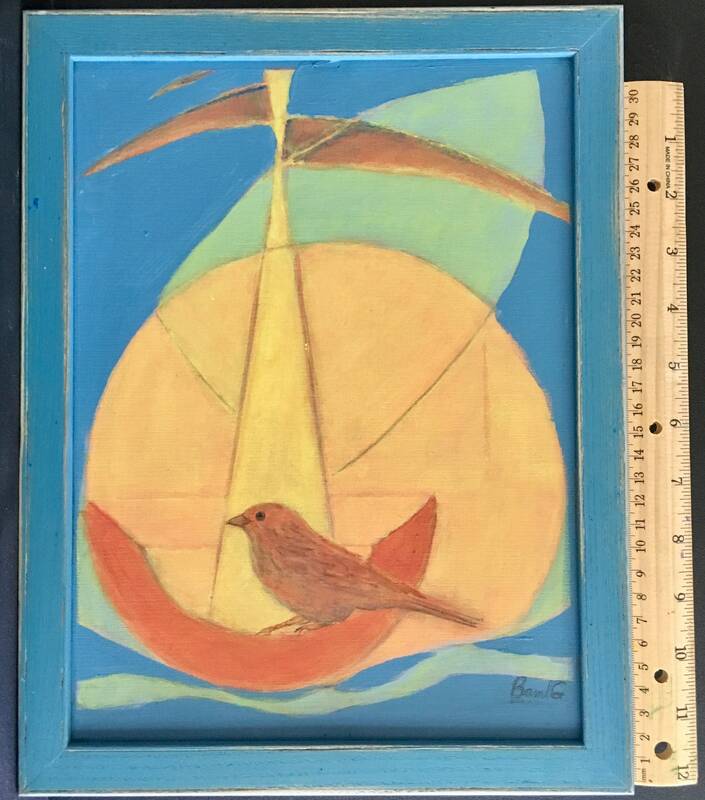 "His Eye is on the Sparrow" is a photo of the original acrylic painting. 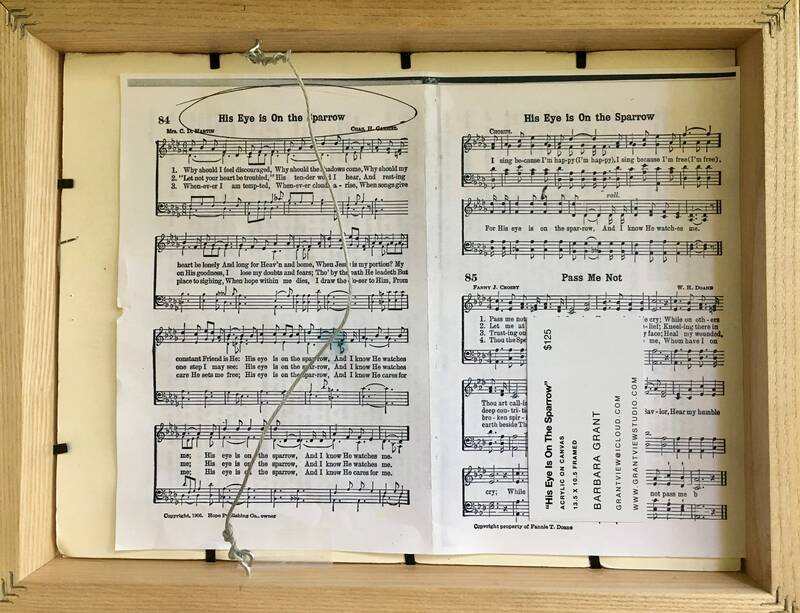 I was inspired by the hymn by the same title. 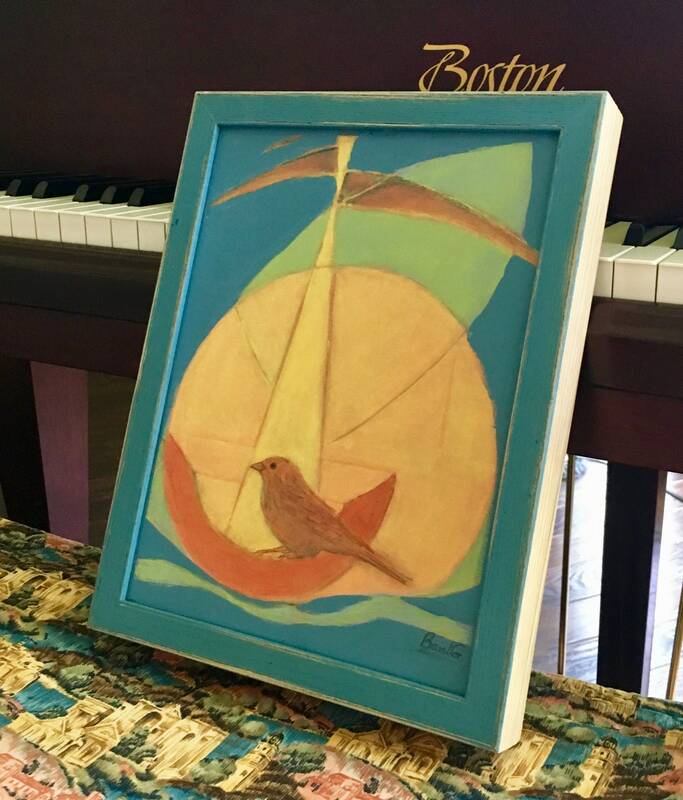 Photos show the painting that has since been given to my piano teacher. 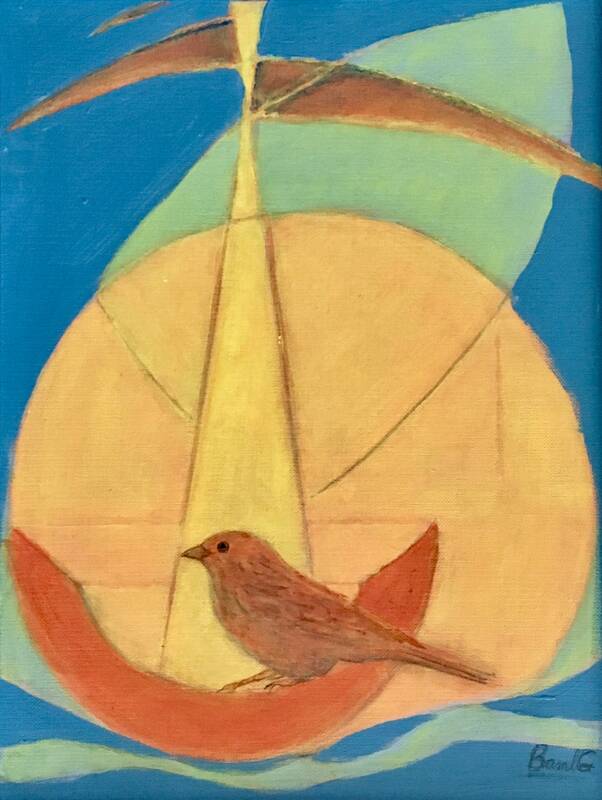 ✒︎ Tybo’s Tall Tales*: This small painting, "His Eye Is On The Sparrow" is inspired by the spiritual hymn. It has a strong meaning, and a personalized view. It was used as an analogy by Jesus in the gospels. It was to show them how no matter how free spirited, nor how strayed would be treated differently by god. The Bird is to be representing man, and the boat is to be representing God's embrace, ever watchful, and ever caring.